Technological solutions are integral to helping companies grow and compete in a global market but they can also make them vulnerable to cyberattacks. As part of their risk management procedures, firms must prepare their computer systems for hacking attempts and other cyber-related activity as large and small businesses face the threat of cyberattacks every day. Recently, major software manufacturer Adobe was hit in the latest high-profile data breach. Hackers stole information from 2.9 million Adobe customers as well as source code from its popular software suites, according to Manufacturing.net. "Cyber attacks are one of the unfortunate realities of doing business today," Brad Arkin, chief security officer at Adobe, wrote in a blog post on Oct. 3. "Given the profile and widespread use of many of our products, Adobe has attracted increasing attention from cyberattackers." The information that was illegally accessed by hackers include customer names, credit or debit card numbers and information pertaining to consumer orders, according to PC Magazine. 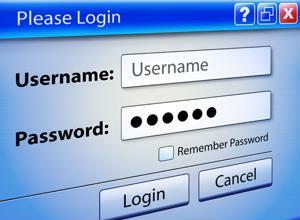 Adobe said passwords as well as bank card numbers were encrypted before the attack. Adobe's data breach could have significant costs as the company depends on its intellectual property, such as the source code that was pilfered, to profit in the tech world. As Adobe's case illustrates, IP protection is a growing concern for many manufacturers. Adobe said it notified federal law enforcement authorities as well as financial institutions that processes its payments. The attack on Adobe might be connected to other data breaches that targeted major U.S. data brokers like LexisNexis, Dun & Bradstreet and Kroll Background America, according to Brian Krebs, author of cybersecurity blog Krebs on Security, and Alex Holden, researcher at Hold Security. Despite having less name-brand prestige, smaller companies are also made victims of cybercriminal activity, including Novice to Advanced Marketing Systems (NAMS), The Associated Press reported. David Perdew said his marketing and training business experienced a data breach that disrupted website operations for six weeks and resulted in $75,000 of expenses. "It felt like a personal violation," Perdew said. The company immediately began investigating the incident to find out who hacked the site and how. About 10 hours after the breach, company IT staff learned the hacker located abroad must have previously signed up with NAMS in order to upload malware to control the site. Perdew moved all of the company's files into a new computer while destroying thousands of other files and software. After strengthening the firm's safeguards and reaching out to customers, the company only lost 15 out of its 2,000 customers.